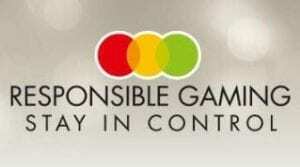 Information about Responsible Gambling:Definition and Resources. Gambling is one of the most addictive leisure activity on the planet. A lot of gamblers fall victim to the addictive spell held by the game without knowing it. Unlike in late 19th century when the game faced a lot of discrimination from different societal and religious values, the 20th century brought about massive advancement in the game while the 21st century has made gambling one of the most sought out activities in the world. Controlling the number of people that grace the reels of a casino or that make use of a sports book is almost impossible due to the technological advancement that the world encounters on a daily basis. On the positive side, a lot of players have won a good deal of life-changing sum from numerous casinos and betting sites across the globe. Gambling is in no way wrong but getting addicted is quite detrimental to society. We would like to use this article to provide safer guides that would enable you to go about your gaming activities without getting addicted. This guide will not have any impact if you don’t take time to discipline yourself, so in as much as we might have substantial knowledge as to how to help you overcome gambling addictions, your zeal to overcome the attraction also matters. There are a lot of professional gamblers across the globe who graces the reels of their favourite slot game, with the sole intention of making a living out of it, in as much as they might walk home with a huge amount of money in a lot of cases, never for one day think that it is their only source of income. Gambling is a leisure activity, its certain that you would enjoy that feeling of winning huge sums worth a whole weeks work in less than a minute but it is in no way reliable. Gambling is a game of chance, today might be favourable, tomorrow uncertain. Don’t game with the hope of getting the same returns every day. Some days might bring you a good deal of cash but that does not guarantee a huge paycheque for the next day. 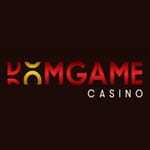 If you want to gamble, make sure you have a substantial source of income so as not to end up begging or stealing funds just to grace the reels of a particular slot game. The struggle to rise to the top of the food chain is real. Gambling during your leisure time might help you acquire a few funds to settle some pressing issues but don't gamble without a failsafe plan. Losing funds while gambling is inevitable, in as much as the heart is wired to win, you know losing would come more often than winnings in most cases, don't risk funds that are meant for the family or other issues in a gambling den. The best plan is to set a bankroll limit so that you won’t be able to exceed a particular amount within a specified time. Although limits mostly work with online betting platforms, if you are the type that gamble with anything and everything then you would have to ensure that your ‘’mind limit’’ game is strong. This is very popular among gamblers. The next spin always seems like the lucky spin, the feeling of hitting a jackpot from the next dice can make you stake your house. Don't ever chase after loses. 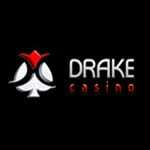 Most time it's advisable to grace a gambling den knowing that you can lose all the funds that you have on you, this would help you create a backup plan, even if the backup plan would not yield a huge sum, it would help you save funds for the night’s meal. Losing as we stated before, losing is inevitable, when the reels are not in your favour, it would do you a lot of good to call it quit, don’t chase after loses with the hope of getting a substantial return when nothing is guaranteed. If you lose, walk away, try to avoid taking any desperate action. A lot of gamblers grace the reels when angry. Gambling is not a getaway drug, in as much as it doesn’t have any health impact, the societal impact can crumble all your life’s work. Ensure that you are in the right state of mind when gracing a reel, if possible, make peace with your heart before visiting any gambling den. Take note that you might want to also avoid alcoholic drinks while gambling. Try to balance gambling with other daily activities by setting bankroll and time limits. Gambling does not make you a bad person but getting addicted to the reels would not only make you a bad person but might end up destroying your lives plan, always try to gamble responsibly. Play safe.